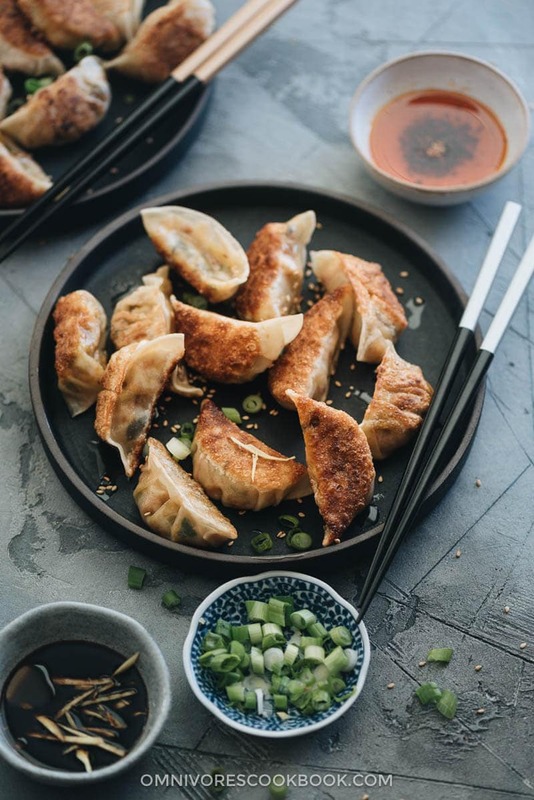 Homemade dumplings are one of those things that require some time to make, but you’ll find them totally worth the effort. This recipe was developed based on our family recipe, handed down from my grandma to my mom. But I’ve made some changes with plenty of recipe notes, so you can easily adapt it with more common ingredients. The dumpling filling has a well-balanced texture with veggies, tofu, and vermicelli. 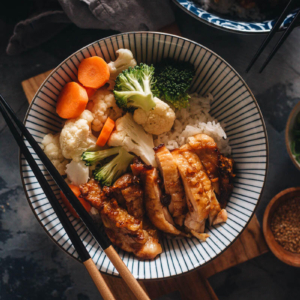 It’s seasoned with plenty of aromatics, soy sauce, and just a dash of curry powder to enhance its richness. My husband described its flavor as “Singapore noodles in dumpling form”. In a previous post, I mentioned that our daily diet has shifted to mostly plant-based food after my husband started his vegan blog Gastroplant. I still cook with meat and dairy here and there, especially when I develop Chinese recipes for my blog. But so far I’m very happy with the plant-based diet. I feel more energetic and less heavy during the day. And I noticed that I crave fast food much less nowadays. 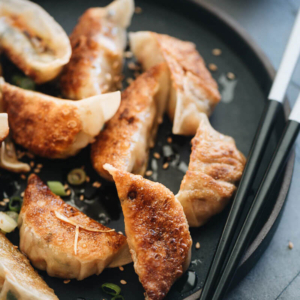 Vegan dumplings are our favorite snack and quick lunch fix. Sometimes we buy them from the Asian market. But when I want some really good dumplings, I prefer to make them at home. Yes it does take some time to wrap the dumplings. But if you make a big batch ahead and freeze them, it will be so easy to heat them up for a quick snack. In a perfect world, you would use fresh homemade dumpling wrappers every time. The real advantage of homemade wrappers is, they’re bigger than the store-bought type and easier to wrap. Different from meat filling, vegan dumpling filling doesn’t bind together as well. So it will be a bit of a challenge to wrap a lot of ingredients into each dumpling if using store-bought wrappers. 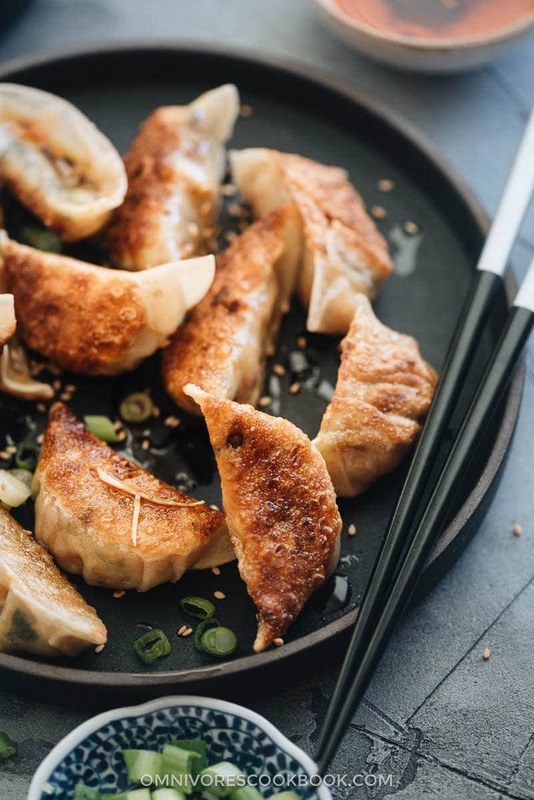 If you have the time, I highly recommend using this recipe to make wrappers for steamed or pan-fried dumplings. If you want to make boiled dumplings, use the cold-water dough from this recipe to make the wrappers. Of course, you can use store-bought wrappers if you’re short on time. Try to find wrappers that are slightly bigger in size if possible. Store-bought dumpling wrappers can be a bit dry and difficult to wrap sometimes. I usually wet a few layers of paper towel and cover the wrappers when I work on the dumplings. This helps the wrappers stay pliable. The goal of this recipe is to create a filling with a balanced texture that is rich enough to serve by itself without dipping sauce. The main texture of the filling comes from the tofu and vermicelli. 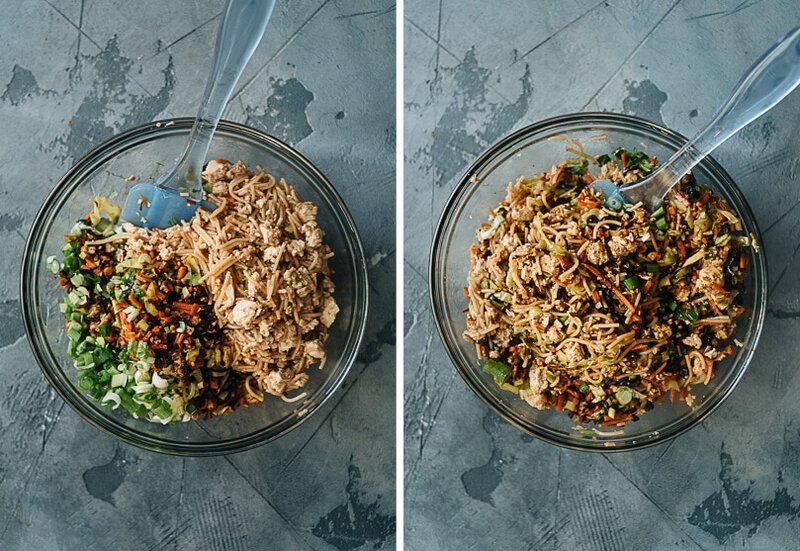 Alternatively, you can skip the vermicelli and double the amount of tofu. It will produce a great filling as well. I used dried shiitake mushrooms to add a rich taste and wood ear mushrooms to add a crunchy texture. Both ingredients are very common in northern Chinese cuisine. If you cannot find those ingredients, I’ve included notes in the recipe so you can replace them with more common ingredients. I talked about this in previous posts so I will only include links to avoid repetition. You can view my previous carrot dumpling recipe to see the wrapping pictures. You can also check out this video to see dumpling-wrapping in action. Alternatively, you can use spring roll wrappers to make the filling into egg rolls. They’re so much easier to wrap and faster to prepare. I’ve tried using the same filling for egg rolls and they worked out great. You can refer to this post to see how to wrap and cook egg rolls. The best way to store dumplings is to freeze them right after wrapping. You don’t need to thaw them before cooking and they will turn out just as great. On the other hand, if you’ve cooked all the dumplings, you can store them in the fridge for 2 to 3 days or freeze them for up to a month. I always prefer to reheat them in the air-fryer to avoid using oil and still get crispy results. You can reheat them in a lightly greased pan on the stovetop as well. I included a couple dumpling dipping sauce recipes in this post. 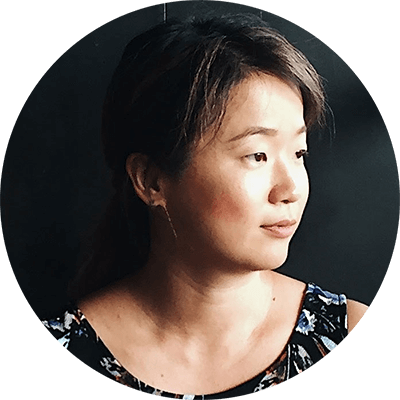 Personally, the first recipe is my favorite and that’s how I make all my dumpling sauces. But feel free to explore other options. I also highly recommend adding a few drops of homemade chili oil to your sauce if you like to spice things up. This recipe requires quite a lot of chopping. I prefer to chop the ingredients using a knife so I have total control over the texture. 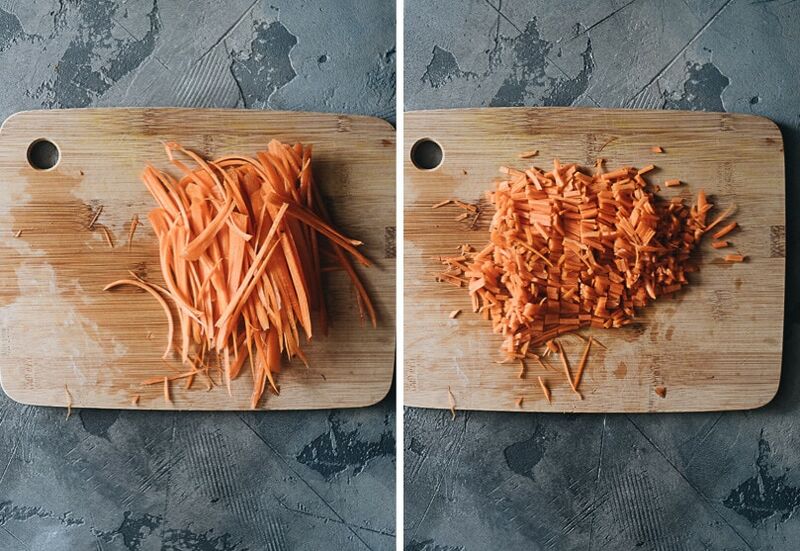 Alternatively, you can use a food processor to chop the veggies quickly. 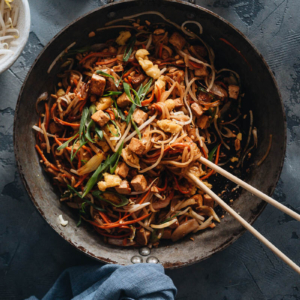 The dumpling filling has a well-balanced texture with veggies, tofu, and rice vermicelli. 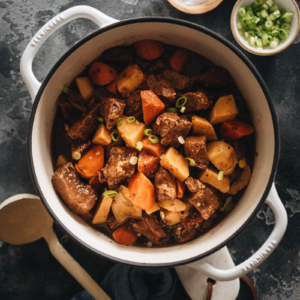 It’s seasoned with plenty of aromatics, soy sauce, and just a dash of curry powder to enhance its richness. Add the shiitake mushrooms to a medium sized bowl and add at least 1 cup of hot water to cover. Rehydrate until the mushrooms turn completely soft, 30 minutes or so. Gently rinse with tap water and drain. Remove the tough stems and mince the mushrooms. It yields about 1/4 cup of loosely packed minced mushrooms. Add the dried wood ear mushrooms to a medium sized bowl and add at least 1 cup of hot water to cover. Rehydrate until the mushrooms turn completely soft, 30 minutes or so. Gently rinse with tap water and drain. Remove the tough ends, if any, and mince the mushrooms if they are big, or thinly shred them if small. It should yield about 1/2 cup of loosely packed minced mushrooms. Cook the dried rice vermicelli until tender according to the package instructions. Drain and and measure 1 cup of cooked vermicelli. Coarsely chop them to about 1/2-inch (1 cm) length pieces. Add 2 tablespoons peanut oil into a large nonstick pan and heat over medium heat until hot. Add the garlic and ginger. Stir a few times to release the fragrance. Add the rehydrated and chopped shiitake mushrooms, wood ear mushrooms, and carrots. Stir and cook for 2 minutes. Add the cabbage, 1 tablespoon soy sauce, Shaoxing wine, and curry powder. Cook and stir for another 2 minutes, until the cabbage turns tender and all the liquid has evaporated. Transfer everything to a big plate to cool. Heat the remaining 2 tablespoons of oil into the same pan. Add the tofu. Stir and cook the tofu for 1 minute. Further break up the tofu into smaller chunks with your spatula while cooking. Add the cooked vermicelli, the remaining 2 tablespoons soy sauce and the maple syrup. Cook and stir until all the liquid has evaporated, 2 minutes or so. Transfer everything into a big mixing bowl and let cool for a few minutes. Once the tofu and the cabbage mixtures have cooled to a warm temperature, add the cabbage mixture into the same mixing bowl with the tofu. Add the green onion. Stir to mix well. Prepare your working station by placing the dumpling filling, wrappers, and a large tray on your table. Fill a small bowl with water and set it aside. Scoop about 1 tablespoon of dumpling filling and place it in the center of the wrapper. Dip your finger into the bowl of water and use it to wet the edge of the wrapper. Hold the dumpling with one hand and start sealing the edges with the other hand. After folding, press the edges again to seal well. You can use any method to fold the dumplings as long as you’re comfortable with it. Now you can freeze these dumplings if you don’t cook them immediately. Place them onto a baking tray and seal them in with a plastic wrap. You can store the dumplings in the freezer for up to 1 month. Once the dumplings are completely frozen, after about a day, you can transfer them to a gallon zipper bag to save freezer space. Cook the dumplings in batches. Option 1 - Heat 1 tablespoon oil in a nonstick skillet over medium heat until hot. Add dumplings in a single layer. Cook until the bottom side turns golden. Add 2 tablespoons water and cover. Cook until the dumplings are cooked through, 2 to 3 minutes. Option 2 - To get a crispier result, heat 2 to 3 tablespoons oil in a nonstick skillet over medium heat until hot. Add the dumplings in a single layer. Cook until the bottom side turns golden brown, 1 to 2 minutes. Flip the dumplings, add 2 tablespoons water, and cover. Cook for another 1 to 2 minutes, until the bottom turns golden brown. Immediately transfer the dumplings to a plate. Cook the rest of the dumplings according to the same method. 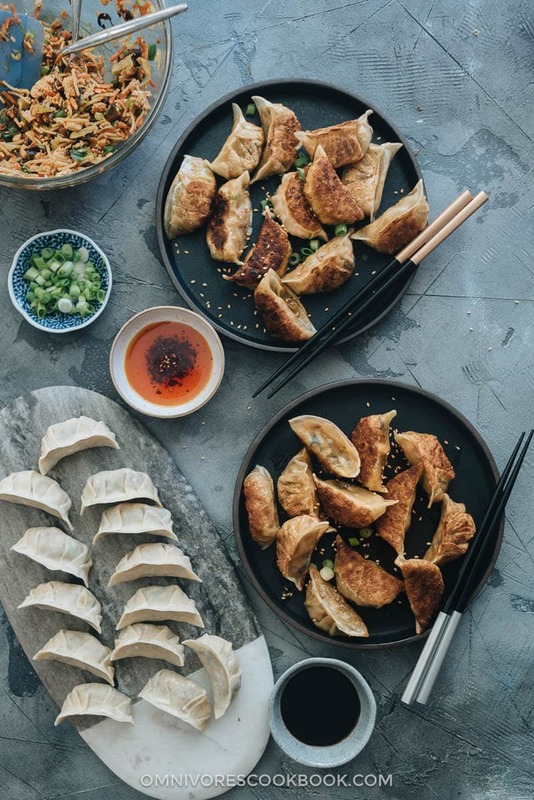 You can serve the dumplings immediately with dumpling dipping sauce or a simple drizzle of Chinkiang vinegar. The best way I’ve found to heat up cooked dumplings, by far, is to use an air fryer. It crisps up the dumplings well without using any more oil. Alternatively, you can reheat the dumplings on the stovetop, using a nonstick pan with a thin layer of oil, covered. The method is almost the same as cooking freshly made dumplings. But you will need to cook them covered for 2 to 3 minutes longer. I also add a bit more water, about 1/4 cup, to make sure it generates enough steam to heat the filling through. Dried shiitake mushrooms add a rich smoky taste to the dumpling filling. Alternatively, you can use 1 cup of minced fresh mushrooms. It’s a Chinese tradition to use rehydrated dried wood ear mushrooms to add crunchy texture to the dumplings. Canned bamboo shoots will work just as well. 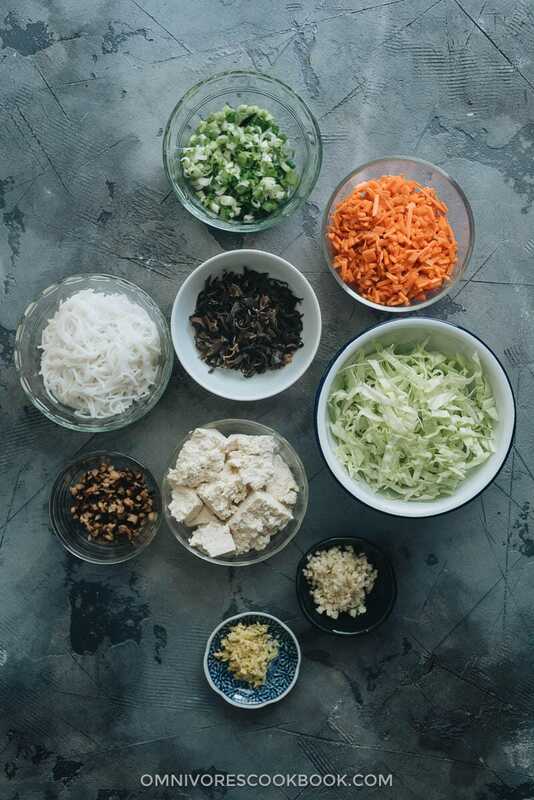 Vermicelli is another way to add a soft and “meaty” texture to the dumpling filling. You can replace it with 1/2 block of tofu as well. Although I used frozen dumpling wrappers in this recipe, homemade dumpling wrappers are highly recommended. Vegan dumpling fillings don’t bind together so well, so it’s a bit more difficult to wrap them. Back in Beijing, my mom always makes bigger sized steamed vegetable dumplings so every dumpling holds more filling. Use my homemade dumpling wrappers to make bigger steamed dumplings. Or you can use this dumpling wrapper recipe to make boiled dumplings. Note, boiled dumplings should be smaller in size so they won’t fall apart during cooking.